Specialists of the Center for Army, Conversion and Disarmament Studies (CEDAW) offer their analysis of key trends in security and defense in the second half of December, 2018 year. In the security dimension, the key trend of the passing year was the expansion of the geography of the Russo-Ukrainian conflict on the Azov Sea. The act of direct aggression against the ship's group of the Navy in the Kerch Strait caused another escalation of the confrontation between Kyiv and Moscow. During December, the parties actively exchanged allegations: the media were full of reports of preparations for the offensive of military alliances. At the same time, the Kremlin added a "heavy artillery" to the information attack on Ukraine - the Russian diplomacy head Sergei Lavrov intimidated the Russians as a "provocation" of the Ukrainian military on the border with the Crimea, while separatist ORDLO disturbed fake information on the intentions of the Armed Forces command to use chemical weapons against the civilian population. When the deadline for all the "deadlines" of the Russian propagandist invented by the Ukrainian offensive was cleared up and it became apparent that the military situation would be completed within a fixed timeframe, the Kremlin switched its focus to a war of war. The crumbling situation around Azov and the Kerch Strait is a consequence of Russia's course on the militarization of the Crimea. At the same time Moscow rejects any possibility of de-escalation. At one of the last press conferences, Putin, without his usual verbal misconceptions, has confirmed that Russia will continue to strengthen its military presence in the occupied Crimea. Thus, according to the rearmament program for the Russian Black Sea Fleet, 2019 will include 12 new ships and vessels (including six combat vehicles, including two small missile ships equipped with Caliber cruise missiles). In this regard, in the beginning of the month, the Permanent Representative of Ukraine to the UN Volodymyr Yelchenko reminded the international community that the Russian Federation had already placed military assets and components on the occupied peninsula that could carry and launch nuclear weapons. It is about the missile cruiser "Moscow" with the missile system "Volcano", three submarines, two small rocket boats equipped with "Caliber" cruise missiles, Su-24 bombers that can carry nuclear bombs. Also, one should not forget the conservancy of the "Theodosia-2016" facility in the 13 year (Soviet nuclear weapons facility near Yalta). The armed provocation of November 25 demonstrated that the Kremlin is successfully implementing the concept of "access barrier" (A2 / AD) in the Azov Sea. The limited military-naval potential of Ukraine does not give us the options for a symmetrical answer. At the same time The sluggish reaction of the Western European capitals (primarily the lack of consensus on the Azov package of sanctions) can provoke Moscow to take more active action aimed at limiting the capabilities of the Navy in the Black Sea. The Azov-Kerch crisis had to sound a reminder for the rest of the international community - to regard the war on the Donbass as a category of frozen conflicts at least as prematurely. Therefore, the separation policy chosen by individual members of the Alliance eliminates a large-scale regional conflict with unpredictable consequences, including for the EU and NATO. The anticipated position in which the Kremlin was frozen on the eve of the Ukrainian election should not deceive anyone. Regardless of the outcome of the will of the Ukrainians, Moscow will retain control over the occupied territories of the Donets'k region and Lugansk region. Certainly, one should not expect that the Russian authorities will return the new president (even on the terms of loyalty) to the "controlling stake" of Ukrainian integration into NATO and the EU. On the contrary, Russia retains a map of a large-scale invasion as an element of international pressure and an argument in negotiations with the West in the sleeve. However, in the first months of next year, Russia will create a strong pressure on Kiev from the middle of our country. It is unlikely that the Kremlin is counting on the victory of a pro-Russian candidate after the annexation of "white-blue" electoral "pastures" - the Crimea and parts of the Donbas. So Moscow will try to influence the results of elections in order to delegitimize new or re-elected authorities. It should not be deducted from the accounts also the possibility of attempts to break the election, in such a way as to discredit Ukrainian democratic institutions in the eyes of the West. The question remains about the Kremlin's revenge after the creation of a single local church in Ukraine. Probably the red line for Russia is the preservation of the Ukrainian Orthodox Church of the Moscow Patriarchate of the Kyiv Pechersk and Pochayiv Lavra. The Ukrainian authorities have made a lot of effort to ensure the peaceful process of uniting Ukrainian Orthodox churches. However, it should be remembered that this process will only gain momentum after Tomas receives 6 autocephaly in January 2019 of the year. Therefore, the risk of outside-provocative incitement will remain one of the greatest challenges for national security. The brutal actions of the RF in the Kerch Strait and the moral abuse of the crews of trapped ships caused a wave of indignation in Ukrainian society. However, it should be noted that the military state, which the government was forced to introduce in response to external aggression, did not become a powerful mobilizing factor on a nationwide scale. The point here is not falling in the level of patriotism in comparison with 2014 year or relatively less losses. On the eve of the election, every power is considered through the prism of the electoral prism. In CSAIR believe that it is The proximity of the election led to the hybridization of the martial law. Bankova faced a rather strong resistance not only within the walls of the parliament. Obviously, the president failed to engage in unconditional support from the West and all the allied forces in the power structures. Conducting a martial law in a "light" regime made the position of the authorities insufficiently convincing. Sociology has shown - the majority of Ukrainians consider the introduction of a military state by bending the stick. However, it is difficult to disagree with the Supreme Commander-in-chief - surveys can not be the criterion for choosing a country's defense strategy. However, the authorities still had to look for excuses for why such a step was the only correct one. The main leitmotif is the growing threat of Russia's intervention after November 25 events. According to President Poroshenko, huge redeployment work was carried out, shortening the terms of combat coordination, with additional equipment at the expense of the first-stage reserves, the supply of new weapons and modernized armament and military equipment to troops. Of course, the military state is not the instrument by which it is possible to eliminate the danger of the Russian invasion or to radically strengthen the capabilities of the Armed Forces. Therefore, even the president himself, announcing the end of the military state, admitted: "Russian threat will not go away." According to the logic of power, the military state was also conditioned by the need to attract the attention of the international community. "Another one and a half or two months ago, the offer of certain European countries threatened to prolong the sanctions of the European Union against Russia for its actions on the Donbass and Crimea. But two weeks ago, during my visit to Brussels 13 in December, these sanctions were unanimously extended for another six months ", - said one of the key arguments of President Poroshenko. Indeed, prolongation of sanctions against Russia can be attributed to key successes of domestic diplomacy. However, it should be borne in mind that this factor is not a sufficient argument for at least a partial correction of Russia's policy. Over the past few years, the Russian authorities have been accustoming their citizens to the idea that sanctions are not just a norm, but also a historically determined format for relations with the West. So, in the medium-term or even in the short run, anti-Russian sanctions will be effective only if their volume is proportional to the restrictions that have led Iran and the DPRK to back up. On the other hand, in the past year, many sanctions have been created in the sanctions policy of the EU. One recent example is the case of the Italian company Bertolaso, which bypassing the anti-Russian sanctions sold industrial equipment to a new plant of the "Zolota Balka" agricultural company, which was launched in Sevastopol occupied by Russia. According to analysts of the Central State Tax Administration, in the near future, such trends will only deepen. Russia's confidence in the illusory nature of European sanctions is aggravated by the fact that over the past year, Moscow managed to sell the line to implement its geopolitical projects, North Stream-2 and Turkish Stream. The issue of providing a free shipping regime in the Kerch Strait and the Azov Sea becomes a priority in the external fossil of Ukraine. Now In the corridors of power, the position about the need to attract international observers was crystallized. Significant resonance was caused by a statement by the secretary of the National Security and Defense Council Oleksandr Turchinov about the preparation of a new passage of the Navy's ships through the Kerch Strait. "We propose and our partners to take part in this passage from the Ukrainian Black Sea ports to the Ukrainian ports on the Azov coast. We will invite representatives of the OSCE and other international organizations to participate in our ships ... "- said the Secretary of the National Security and Defense Council Alexander Turchinov. However, obviously, such a decision (passing Kerch-Yenikalsky channel with representatives of the OSCE on board warships) has a one-time character. It is possible to set up an appropriate algorithm only if the permanent point of the international observers mission in Kerch is deployed. Such an initiative has already been made by the representative of Ukraine in the contact group Yevhen Marchuk. Also, First Deputy Speaker of the Verkhovna Rada of Ukraine Iryna Gerashchenko recently told - Kiev has informed Paris and Berlin that it will raise in Minsk the issue of strengthening the presence of the OSCE mission in the Black Sea and Azov Sea waters. Quite expected, in Moscow requests of Kiev are still unanswered. Miroslav Lajczak, Minister for Foreign Affairs of Slovakia, who will chair the 2019-OSCE in the OSCE, said that resolving the conflict in the Donbass will be a priority task for Bratislava. Well, now this burden has become even more difficult. The past year has proven to be quite fruitful in defense and security lawmaking. 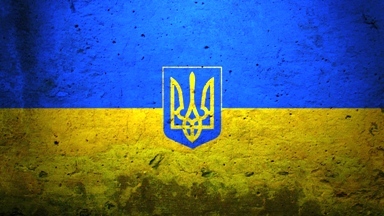 According to the experts of the Central State Tax Administration, the Law of Ukraine "On the peculiarities of the state policy of ensuring the state sovereignty of Ukraine over temporarily occupied territories in the Donetsk and Luhansk oblasts" and the Law of Ukraine "On National Security of Ukraine" are of particular importance for strengthening the resistance of the state. The first document, known as the "Law on the De-occupation of the Donbas", eventually gave proper definition of the situation in the Crimea and the Donbas. At the legislative level, Ukraine has defined Russian occupation as an international armed conflict, in which Russia is an aggressor state (under the IV Hague and IV Geneva Conventions), which is carrying out armed aggression and occupying part of the Donetsk and Luhansk regions. The law introduced the concept of "Occupational Administration of the Russian Federation" into the Ukrainian legal field. Thus, Russia was held responsible for violating the civil rights of the ORDLO, including for material damage. Another important aspect of the Law is the replacement of the ATO format for the Operation of the Joint Force (OS). From now on, the entire responsibility for the complex of actions and activities is closed on the Armed Forces of Ukraine. According to the Central Security and Defense Council, the absence of a "mediator" - the Anti-Terrorist Center of the SBU - provides the right conditions for more rapid response to threats, improved management efficiency and logistics. The Law of Ukraine "On National Security of Ukraine" provided the necessary impetus for the development of the control system of the Armed Forces in accordance with NATO standards and the real conditions of the permanent war. Also, according to the experts of the Central Research Laboratory, he strengthens the foundations of democratic and civilian control over the security forces and the Armed Forces of Ukraine. Equally important is the fixing of the interest rate on GDP (at least 5%) on the security and defense system. According to the law, it is planned to create an executive body, which would engage in a clear implementation of state programs within the framework of equipping the Armed Forces. Similarly, this year, the Strategy for the Development of the Ukrainian Defense Industry Complex for the period up to 2028 approved the "definition of a central executive body that will ensure the formation and implementation of a state military-industrial policy". In the CDCA believe that electoral battles should not hinder the creation of the appropriate agency. The Law "On the National Security of Ukraine" is a framework, therefore the parameters of reforms outlined in it are still to be filled with content. As a result, NATO has identified five key areas for reforming the security and defense sector for Ukraine at 2019 year. Alexander Vinnikov, Head of the NATO Delegation to Ukraine, Director of the NATO Liaison Office in Ukraine, lists the following new laws: on the parliamentary committee on overseeing the activities of intelligence services and security services, on the Security Service of Ukraine, on intelligence, management of state secrets and classified information . Another element is the reform of the defense industry and the defense procurement system. Taking into account that 2019 year for well-known reasons will become quite turbulent for the parliament, the success of the implementation of the legislative work outlined in NATO remains a big issue. Among the military priorities of the next year, President Poroshenko called the development and launch of tests of ground-based cruise missiles to defeat the naval and coastal targets of the Neptun project, the purchase of 6 thousands of weapons for the Army ground forces, in particular sniper weapons and anti-naiper complexes for airplanes modernization and helicopters, purchase of unmanned aerial vehicles (Air Forces of the Armed Forces of Ukraine - CDCA), for the fleet - the laying of a missile boat and the purchase of armored artillery boats. According to Valentyna Badrka, Director of the TsDAKR, besides the anti-ship missile "Neptun", the army will soon receive new high-precision weapon systems - the Reagecatching System of Salvage Fire (RZSV) "Velyka". "2019-th should be the first year of real re-equipment" - sums up the expert. At ЦДАКР it is noted - in the 2018 year the issues of importation important for Ukraine began to be solved. Among other things, the 6 Turkish Bayraktar TB2 drone attack drone aircraft (BAC) BayAntar TB2 was purchased and self-propelled howitzers 1СXNUMX "Carnation" of Polish production, the final stage of acquisition of Canadian sniper rifles for the needs of the Armed Forces units continued. "In general, the supply of weapons, which would strategically strengthen the defense potential of Ukraine, did not take place during the five years of the war. Therefore, the general conclusion despite local achievements in strengthening the defense potential - the construction of a powerful army as an institution of deterring aggression of the RF has not become a priority of the current authorities of Ukraine. As a result, the army in its current state will not be able to withstand rocket attacks and attacks of combat aircraft of the fourth generation. "- sums up Valentin Badrak. In such a situation, military-technical cooperation with NATO countries, in particular the United States, is of particular importance. In 2018 year, eventually, long epics were completed around the transfer of Ukraine's Javelin rocket systems and two patrol boats of the Iceland class (will be available to the Navy in the fall of 2019). Moreover, in December, the 2018 of the United States decided to allocate Ukraine $ 10 million to strengthen the Navy. (the aggregate level of support for the Ukrainian security sector is about XXXNMM). From the point of view of CSAAC experts, the amount of Western aid in the sphere of OTP should be increased. The priority objective of Kyiv should be to overcome the undeclared embargo on the part of Western countries. At the same time, the state should clearly set priorities, so as not to sacrifice cooperation with foreign partners the interests of domestic enterprises. Parliamentary scrutiny of intelligence. How to find a balance? Ruben Mehrabyan: Yerevan's Strategic Dilemma - Reforms or "Friendship with Russia"
Rauf Radjabov: "The Kerch crisis and its consequences for the Black Sea region and the global security system"